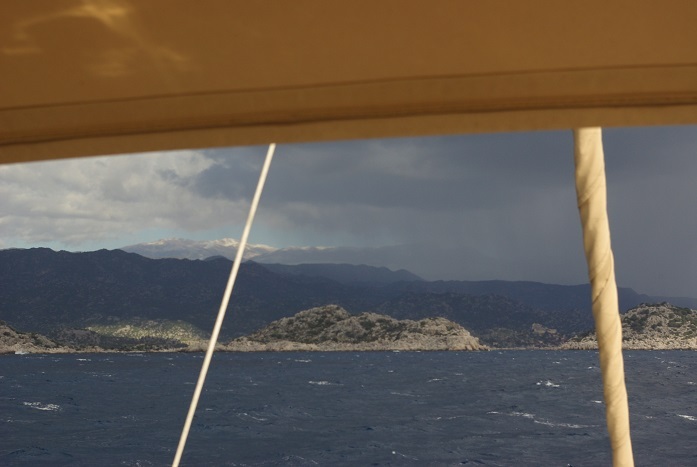 With 24-28 kts of wind on the beam and quite heavy beamseas things became uncomfortable onboard. Instead of deploying the paravanes we decided to head back to Ucagiz at the head of the Kekova archipelago hoping that Hassans restaurant would be open for new years eve. 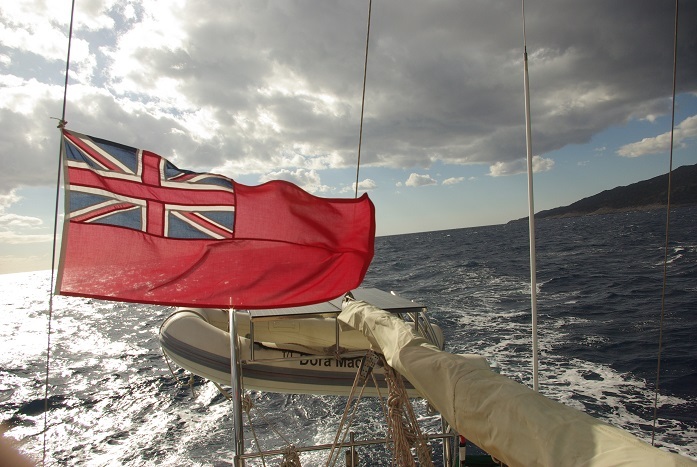 Allthough turning back, the Red Ensign flew proudly on the backstay.